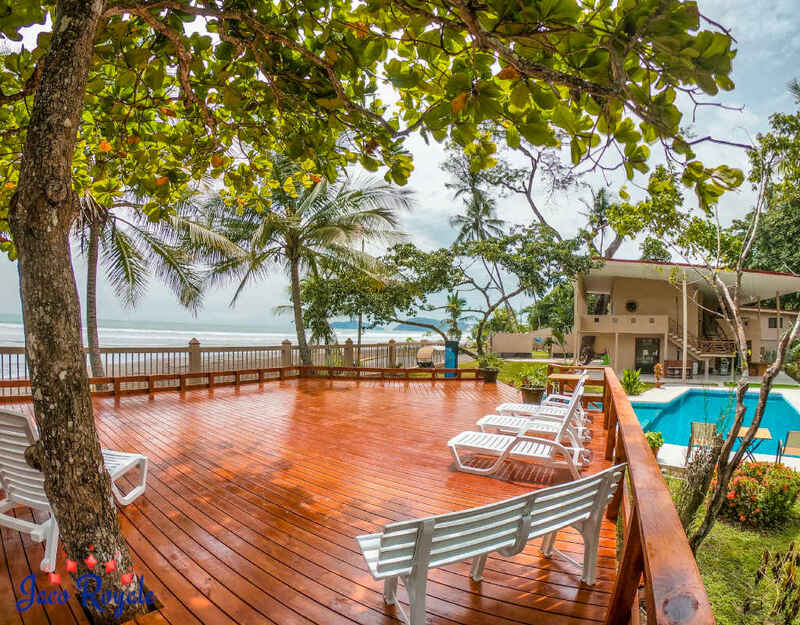 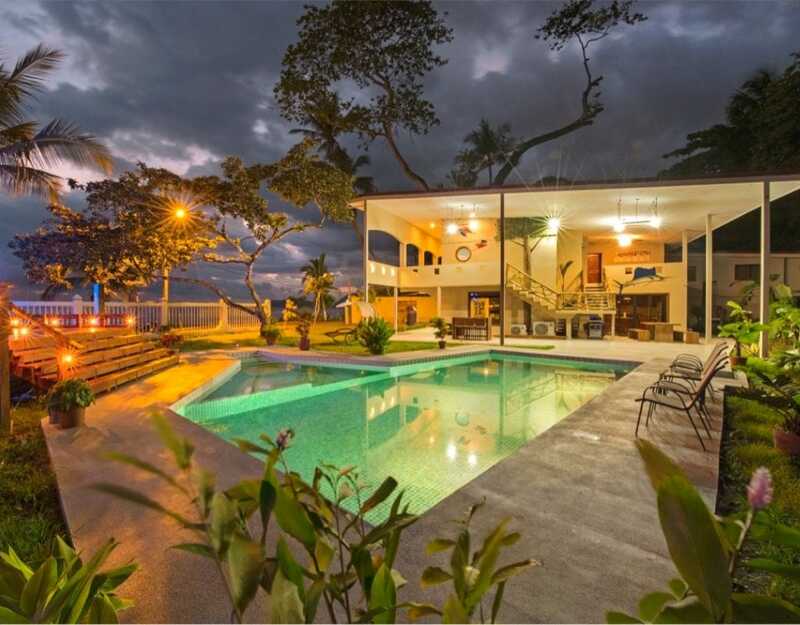 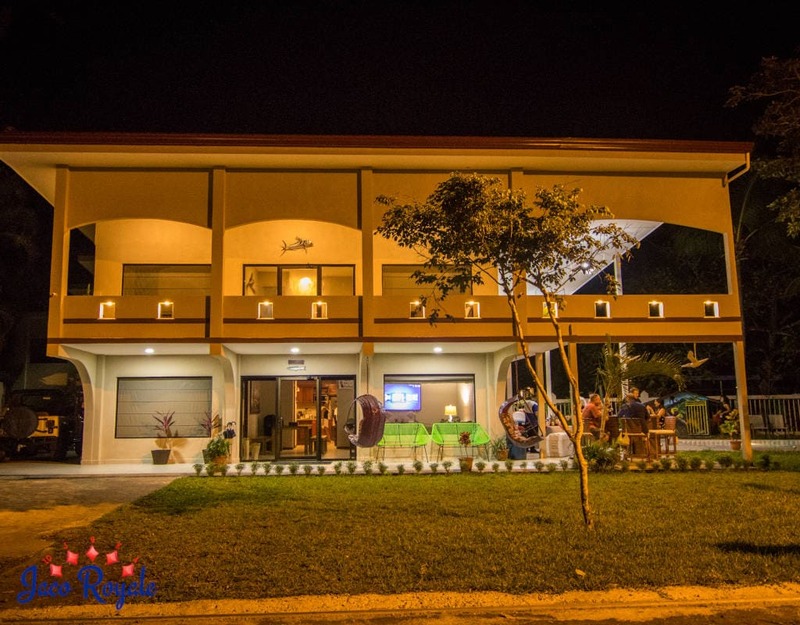 There are many reasons why this 7-bedroom villa makes it to the list of favorite Costa Rica rentals. 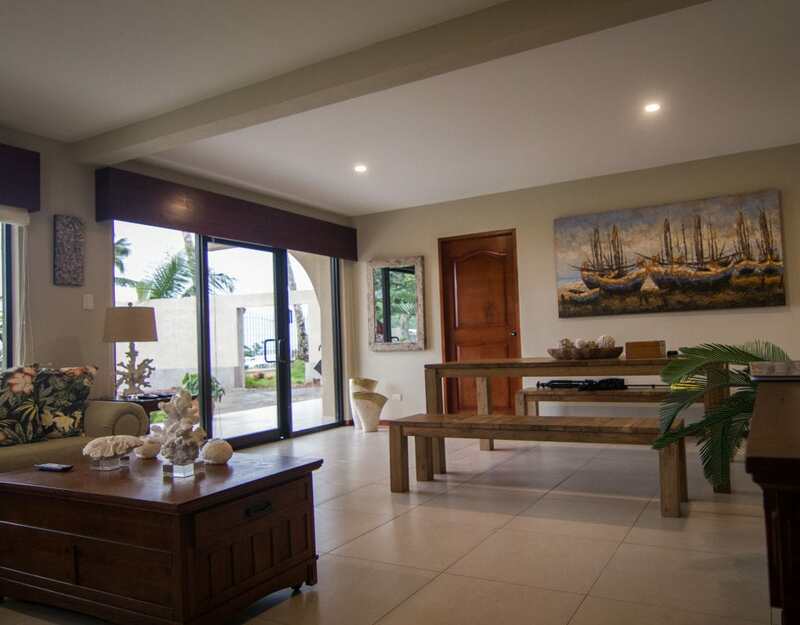 Stylistically minimal, Royale Maroon trumps on several counts. 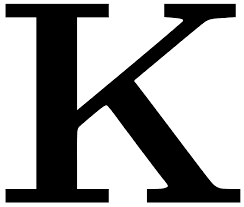 First off: the location. 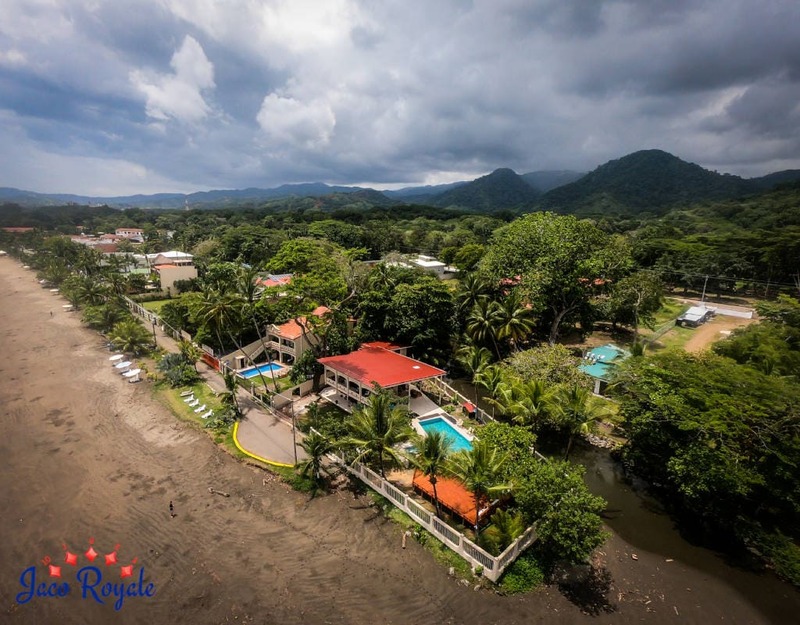 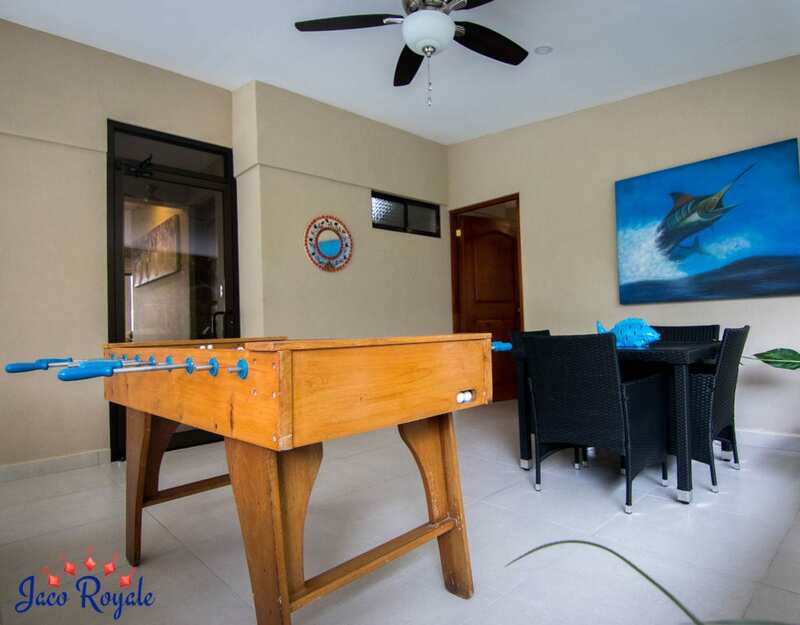 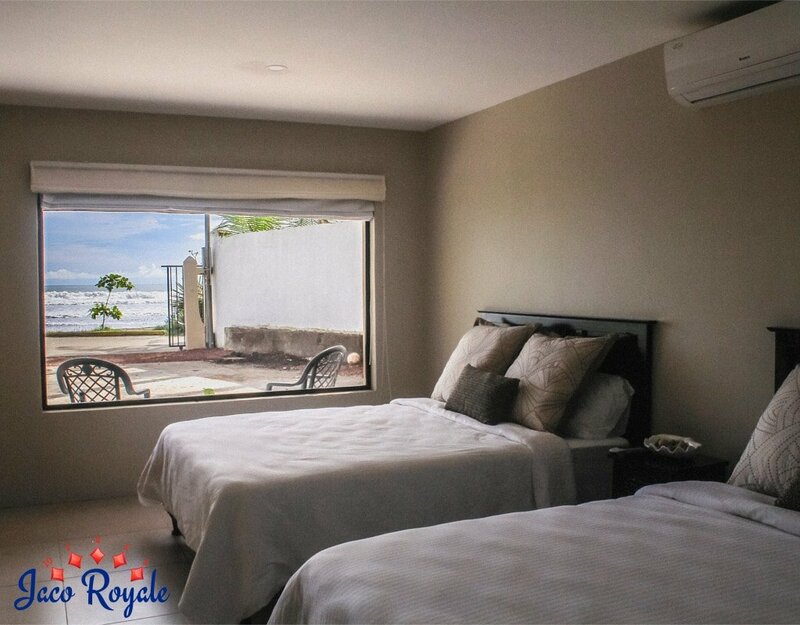 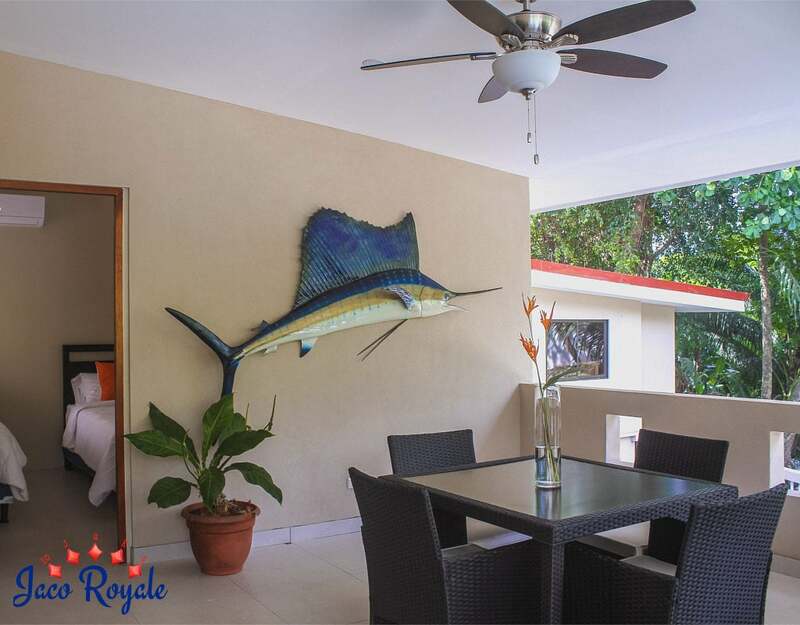 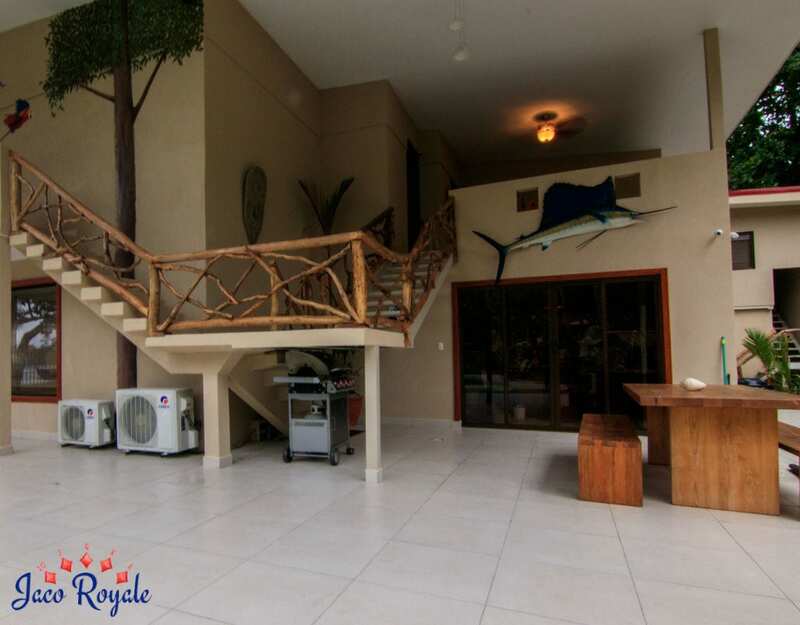 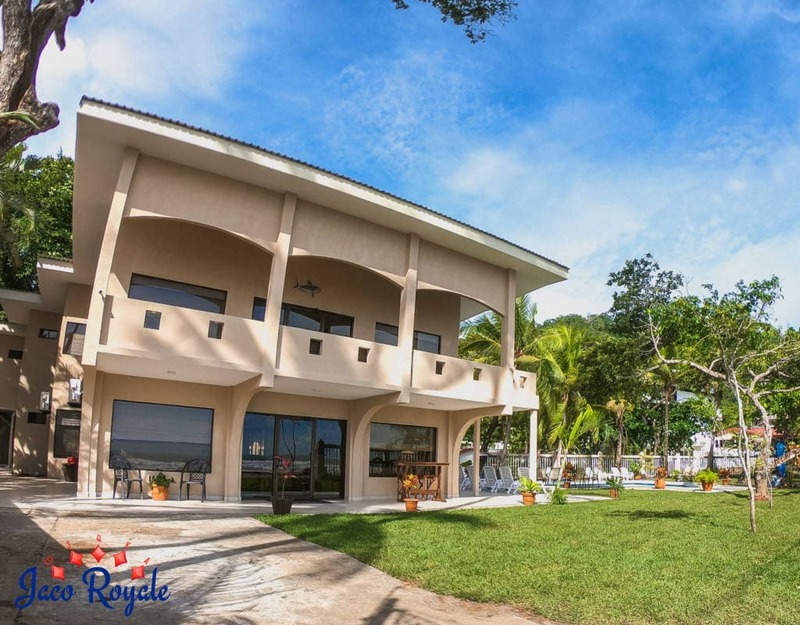 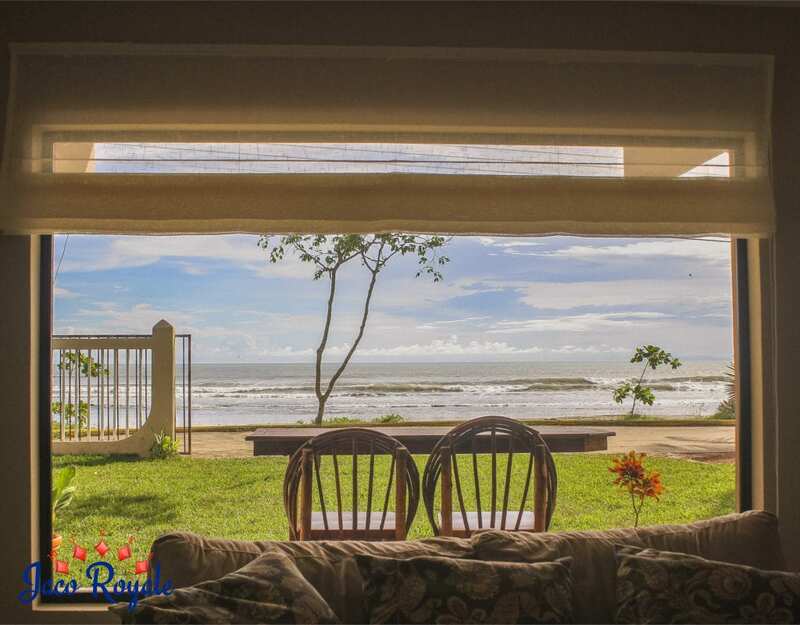 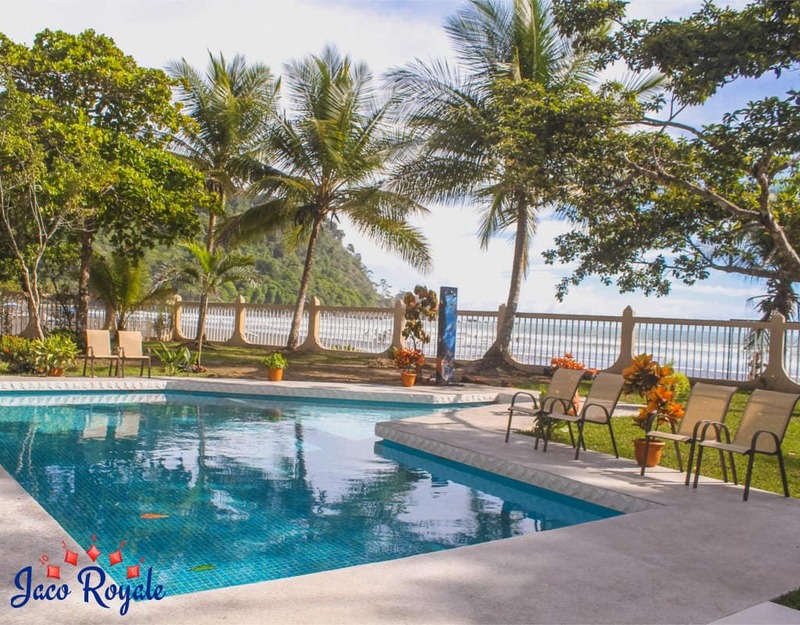 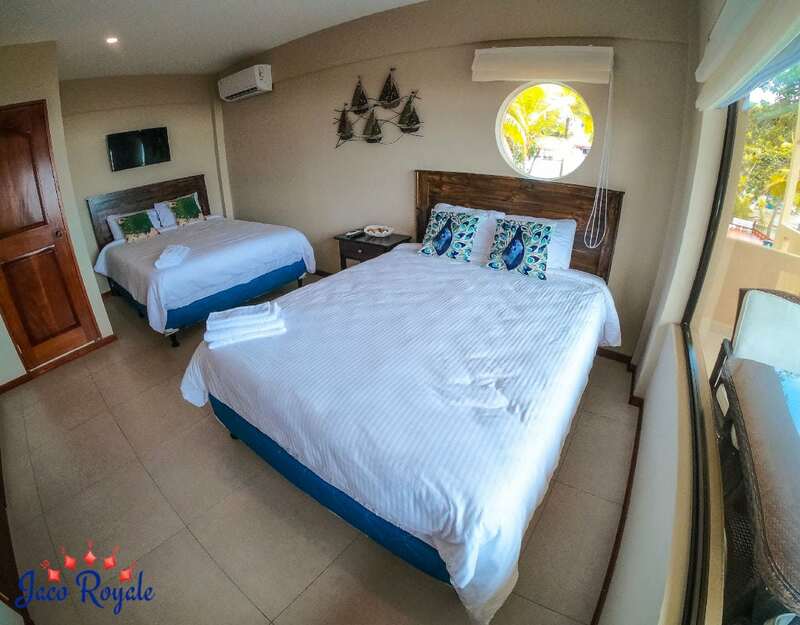 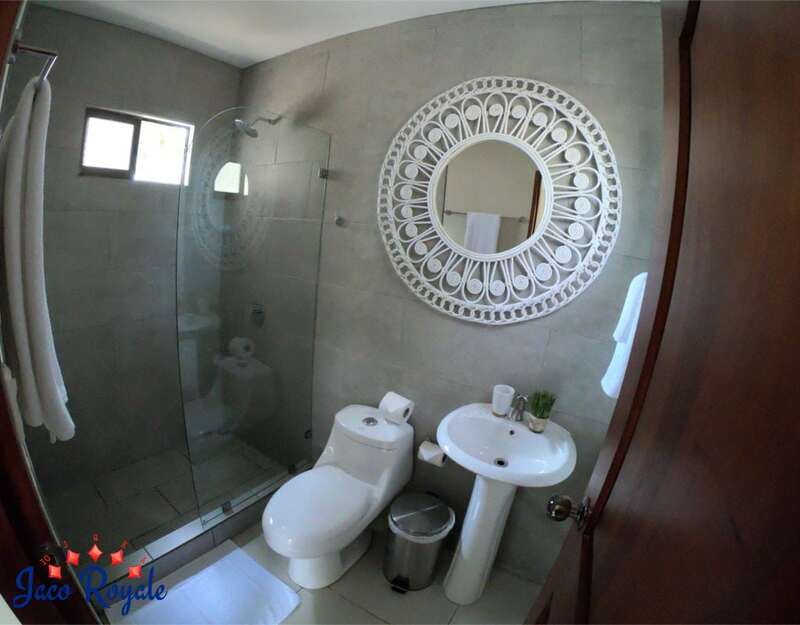 Royale Maroon is right by the ocean in Jaco and every room that faces the ocean is built to leverage the stunning view. 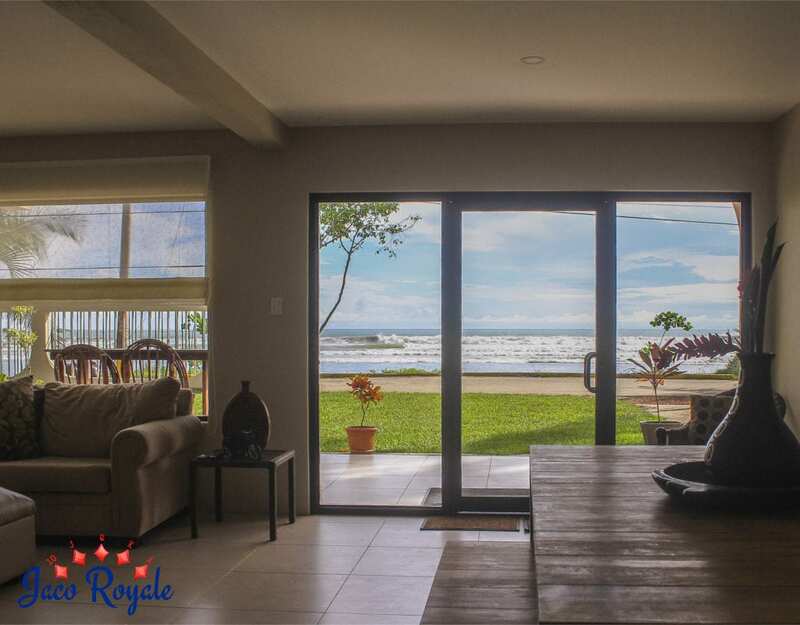 We say stunning because the view from the living rooms and the beach-facing bedrooms does make your jaw drop – you can practically watch the waves from your bed or the living room sofa. 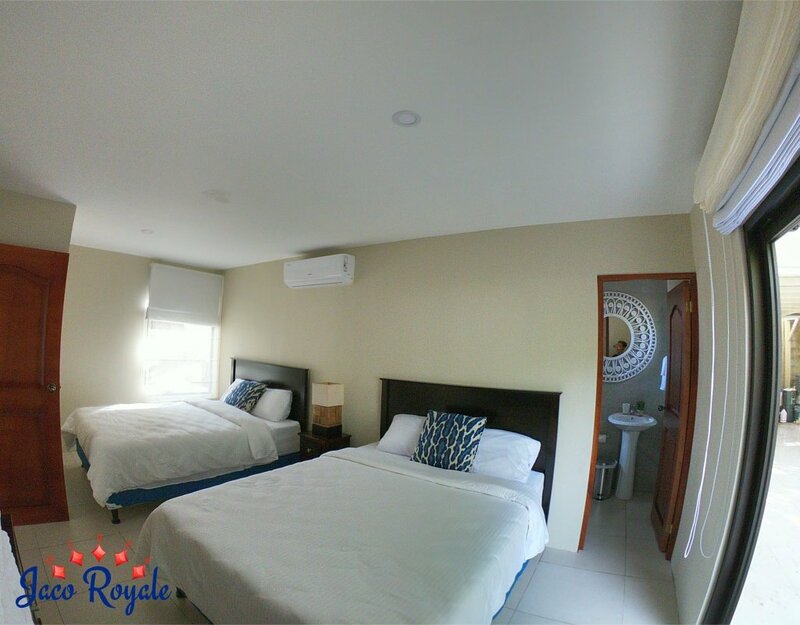 The air-conditioned bedrooms are done up in relaxing shades and come with twin beds. 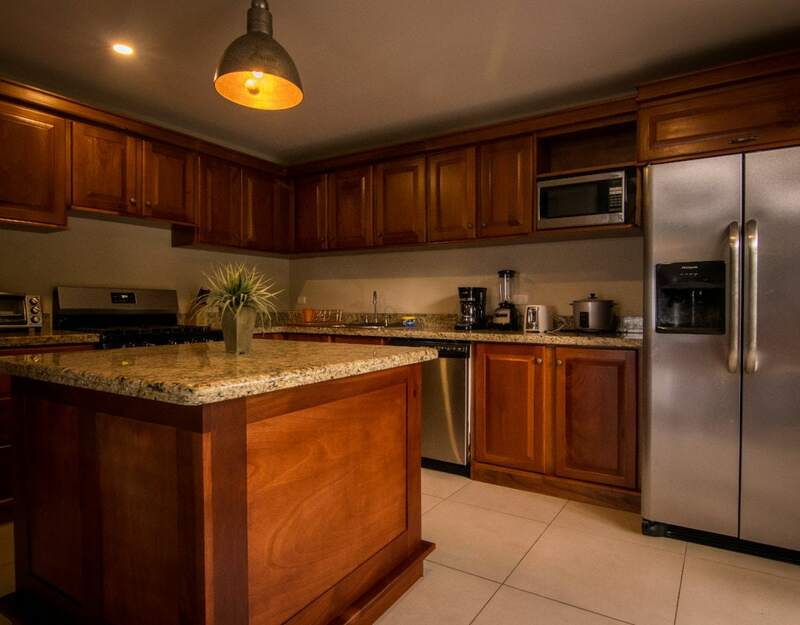 With granite tops and gourmet equipment, the kitchen offers private chefs an efficient workspace. 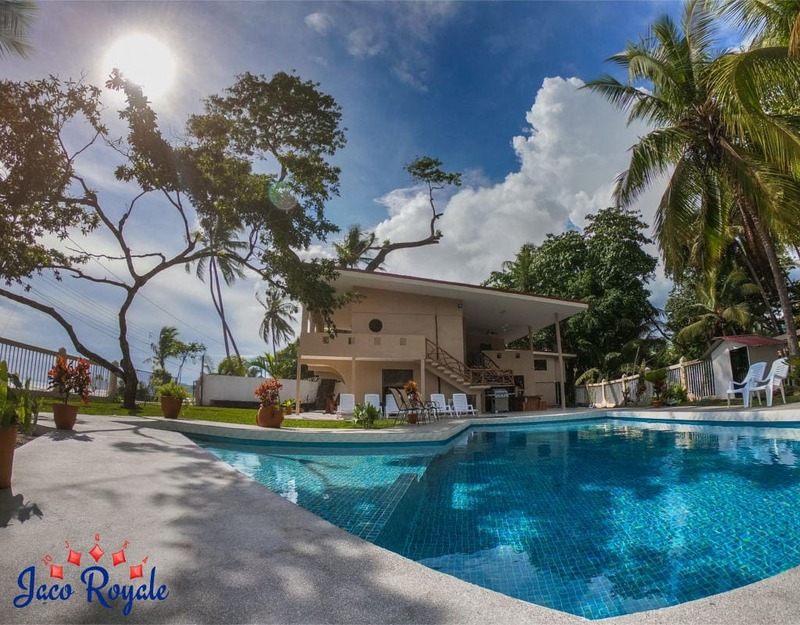 The pool is another clincher: surrounded by tropical trees, it completes the picture of an ideal Costa Rican vacation home.